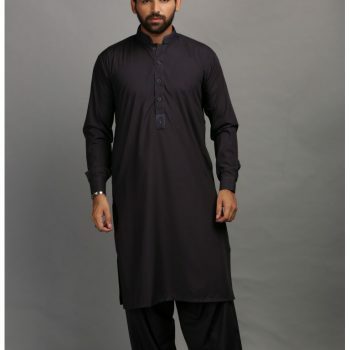 Want to buy quality men’s black salwar kameez & black kurta pajama at wholesale basis? Looking for textile sourcing agent in Pakistan? 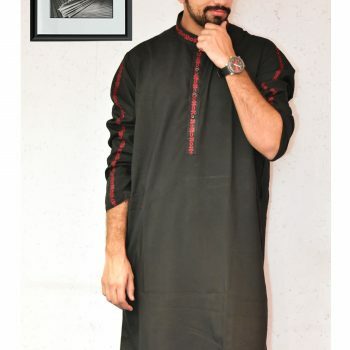 Want to import Pakistani style black kurta salwar in multiple fabrics and colors? Faisalabad fabric store the one of the leading Pakistani wholesale manufacturers of Mens salwar kameez and kurta pajamas in all type of fabric including cotton, khaddar, linen, Wash & wear, Karandi, Latha, Boski etc plus with multiple hues with combination of full suit i.e salwar kameez or colorful kurta with white or black pajama. 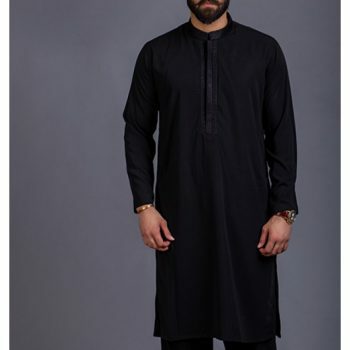 Here I am going to discuss the Black color stitched and unstitched male salwar kameez style suit with embroidery work over the neck, collar/ban or sleeves as well as self-printed attractive kameez. These black color salwar kameez are available in cotton, Karandi, Bosky, linen & khaddar fabric. The pricing of the Mens black salwar kameez is very affordable that everyone can buy online easily. Along with the pricing & fabric quality things we guarantee the color feeding as well as stitching. For wholesalers, we have some special deals over 20+ salwar kameez designs. If we talk about the stitching, our experienced tailors who sew salwar suit knows the trend and styling that suits over the salwar kameez now a days. Costing over stitching is really good for both retailers and wholesalers. 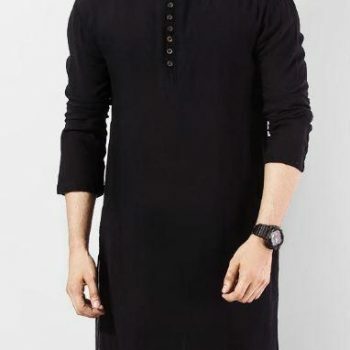 Now let have some discussion over the black color kurta pajama styles for male is now available on our online wholesale web store in a very affordable price range. 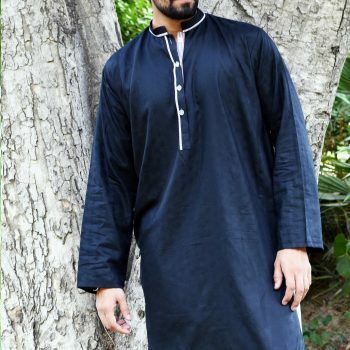 The kurta is in cotton, linen, khaddar fabric and can be wearable with white salwar or black pajama. Mostly gents are wearing the black kurta with white pajama. The kurta is embroidered or self-printed, embroidery quality is amazing and prints are also very great. MOQ for wholesalers is 20+ kurta pajamas. Pricing will be negotiable with wholesalers.